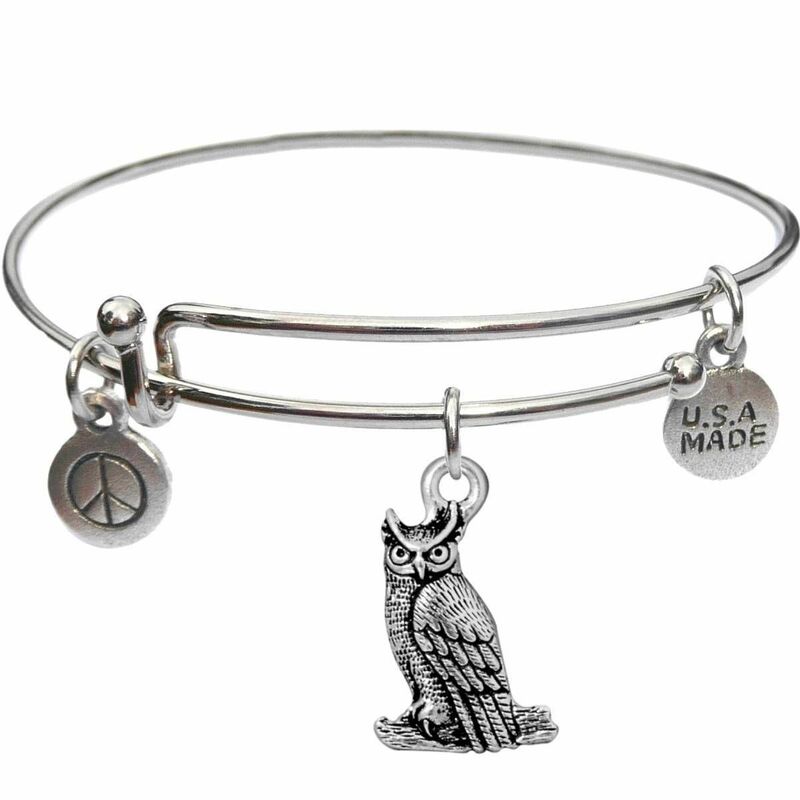 USA Made Bangle Bracelet with Charms Unique designs made with love in the USA. ABOUT US... We sell a ton of items for less - everyday! Because of our low prices and quality merchandise which we ship quickly, we have THOUSANDS of satisfied customers, and many of them have left feedback and on our website. PAYMENT AND SHIPPING... Pay via PayPal right away and we'll get your item(s) packaged and shipped immediately :) FREQUENTLY ASKED QUESTIONS... How fast do you ship? We ship items out the next business day after you pay, or if it is early enough in the day when we receive the payment we'll ship your merchandise out the same day. If you have any other questions contact us through the link at the top of this listing - we've been selling online and for years and have over 13000 feedbacks in addition to thousands of other happy customers. We'd love to work with you too!